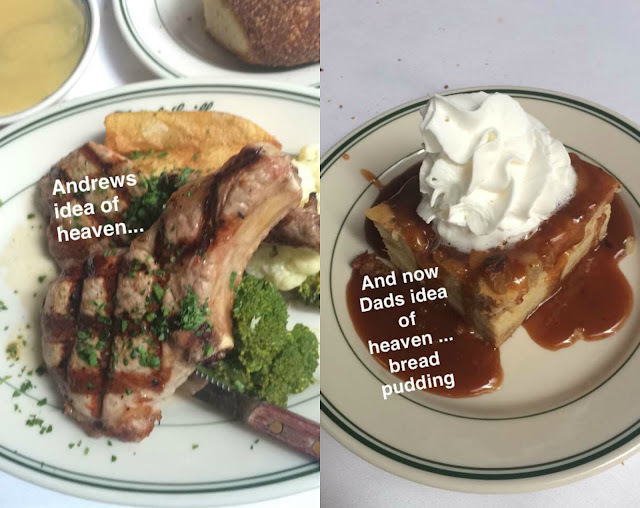 I can't help myself, I've fallen into the Snapchat craze and can't get enough. It's such a fun, easy way to share what you're up to with friends/followers. My girlfriends and I are constantly sending each other funny snaps and chatting with each other. The filters offer endless hours entertainment. My nephew loved the Batman filter when the new movie came out. And of course the dog, too. It was a great weekend, with a good mix of fun and relaxing. We started it off with a celebration for our friend Corrie's birthday. 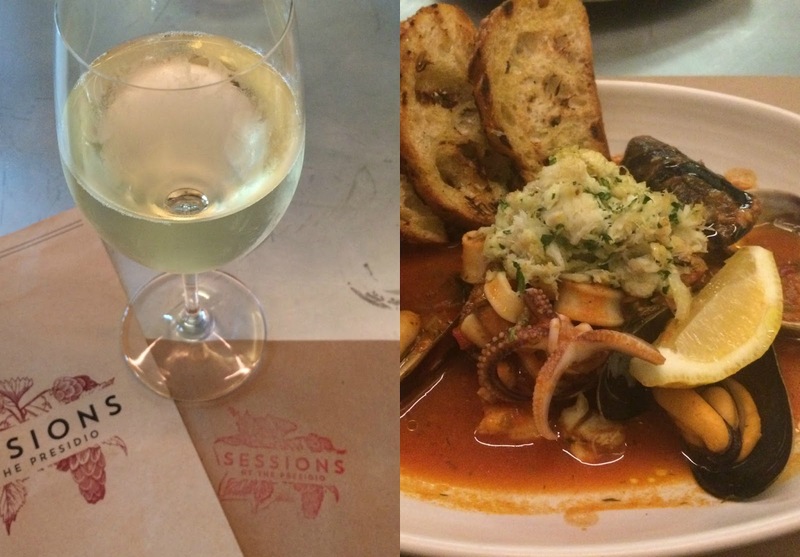 We went to a great restaurant called Sessions in the Presidio. They have a huge selection of beer and the food was really good, too. After dinner, we headed over to the Presidio Bowling alley for a few hours of bowling. I hadn't been bowling since we went with family a couple years ago around Thanksgiving. Andrew loves bowling so he was pretty pumped. We had two lanes and the boys played on one, with the girls on the other. I got a few strikes but overall was pretty terrible. Andrew on the other had was pretty good and got at least 10 strikes over the 3 games we played. It was so fun!! Saturday morning my parents came down to spend the day with us since we hadn't seen them in a while. They arrived about 10:00am and the first order of business was to head over to a new coffee shop in our neighborhood, As Quoted. Andrew and I had seen it a couple weeks ago on our evening walk, and since then I've noticed a few posts on Instagram. It was great, we all had a cappuccino and shared some avocado toast and banana muffins. Everything was excellent. 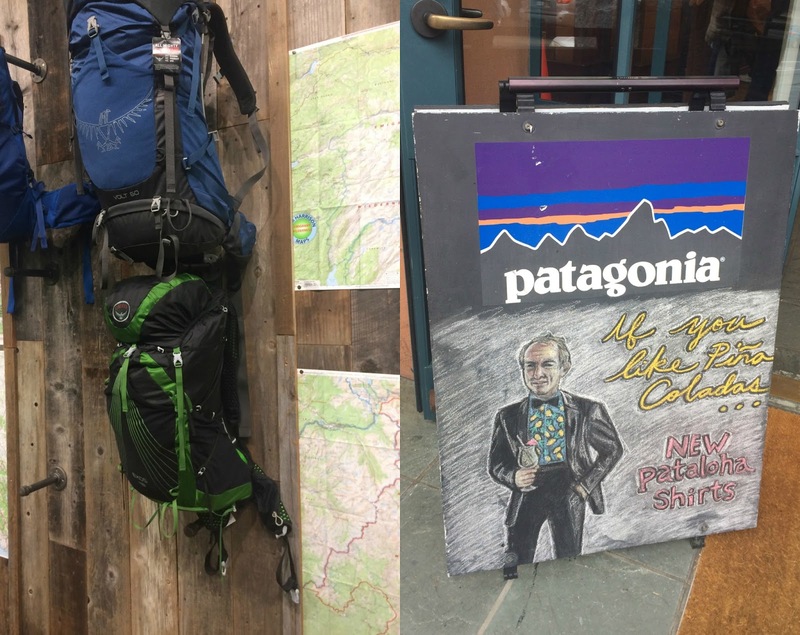 After our coffee we stopped at Sports Basement, followed by the Patagonia store for a little shopping. 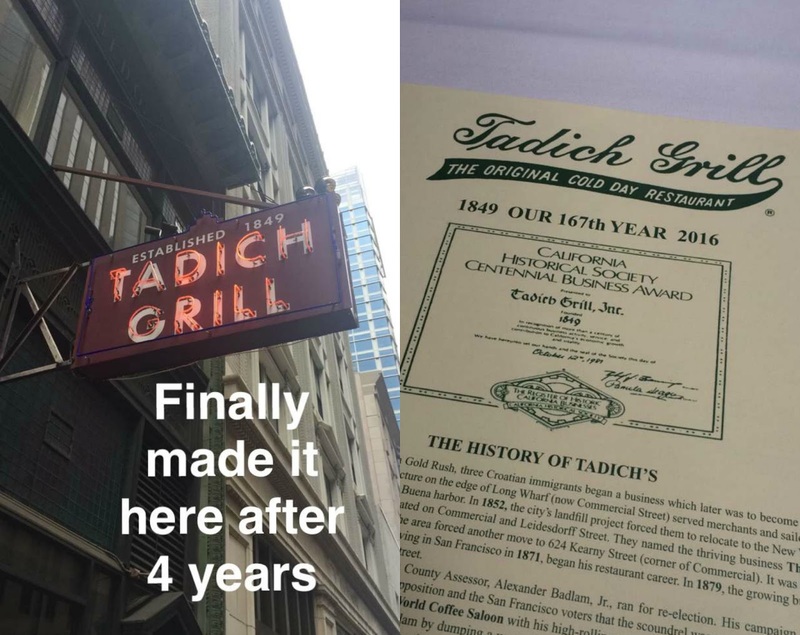 After we worked up an appetite shopping, we were off to Tadich Grill for lunch. I was so excited when my Dad suggested this because I had never been! It's a San Francisco institution, famous for its old school interior and delicious seafood menu. We picked a great day to go, too. With the rain and Giants playing at home we didn't have to wait. 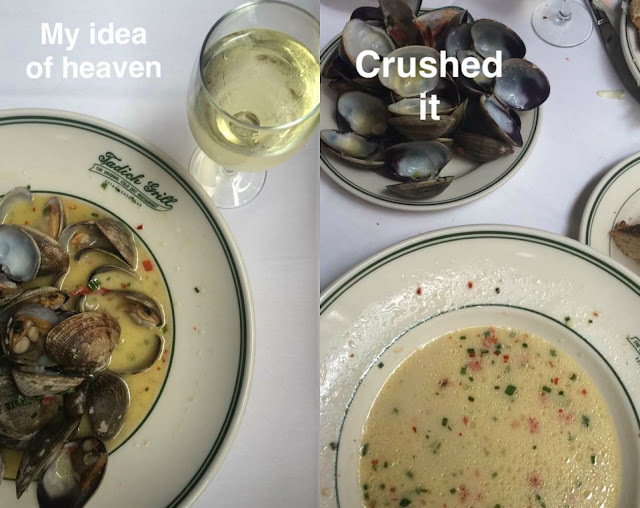 The food was amazing; my Dad ordered cioppino, my Mom a crab salad, I had steamed clams, and Andrew had pork chops. 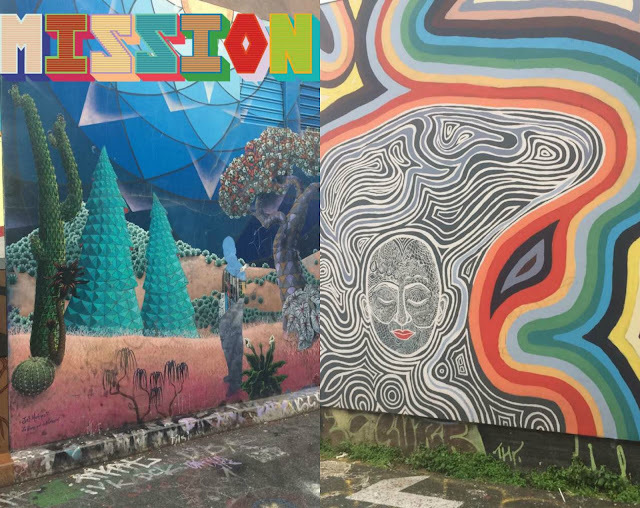 After lunch, we decided to go explore the Mission for a little bit. We had taken my Mom there once a few years ago and had a fun day, but my Dad had never been. We had poor timing with the weather, and it started raining on us. But we bundled up in our raincoats and went into a few shops and saw the famous Balmy Street murals. Then we made our way over to the Mission San Francisco de Asis (or Mission Dolores) because my Dad hadn't been there since he was a kid. I had actually never been there either so I was happy to see it, too. It is the oldest surviving structure in San Francisco, founded in 1776! I loved seeing the model of the original Mission showing how it looked originally. 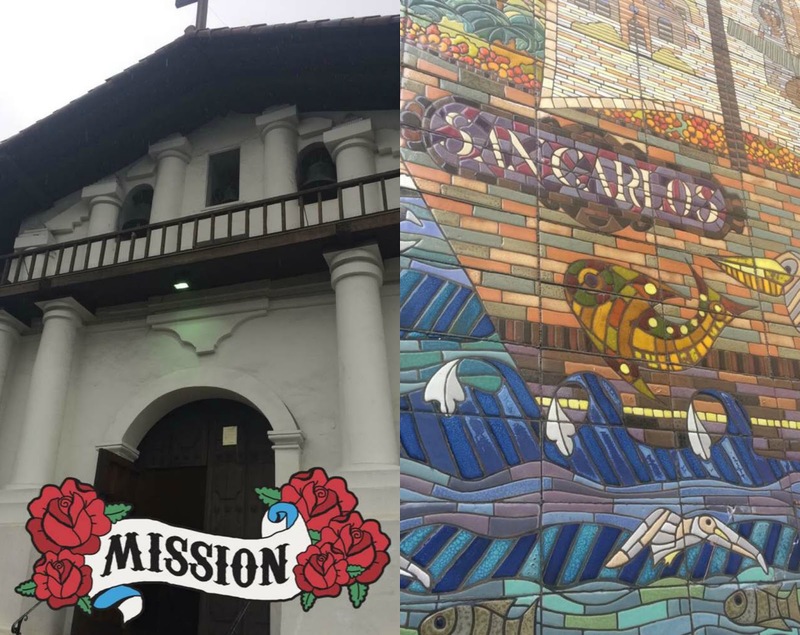 After touring the Mission for a little while, it started raining pretty hard so we decided to head home. We warmed up with some tea before my parents were on their way. Andrew and I enjoyed a relaxing evening catching up on all our shows. Sunday was another low key day doing "Sunday chores" as we call them. 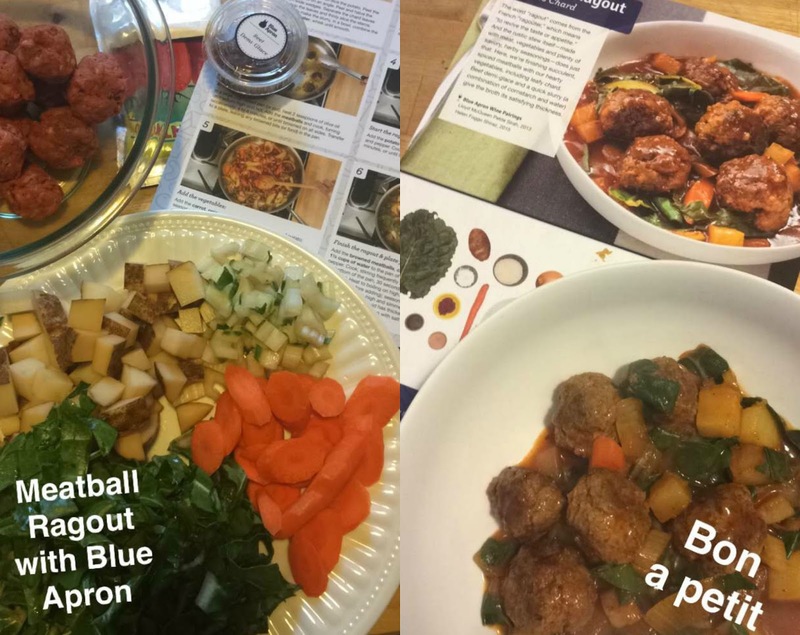 Grocery store, laundry, gym, Andrew got a hair cut, and Blue Apron for dinner. Nothing too exciting, but it's always nice to end the weekend this way and get ready for the week ahead. I hope you all had a great weekend as well. What did you do? 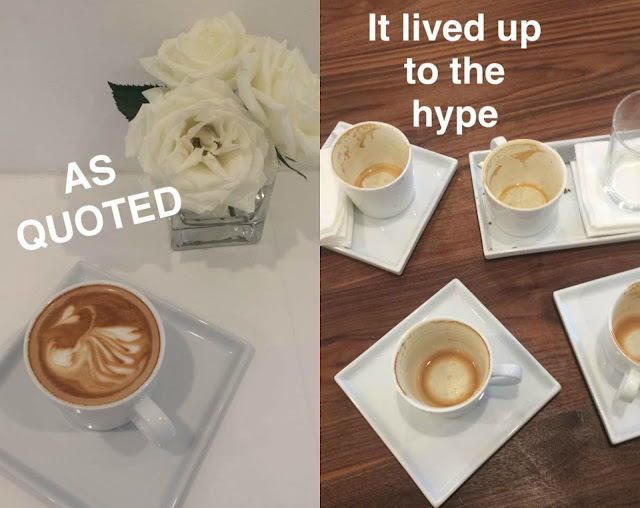 Do you use Snapchat? If so, please share your username so I can follow along! It sounds like a really fun weekend! I started following you. 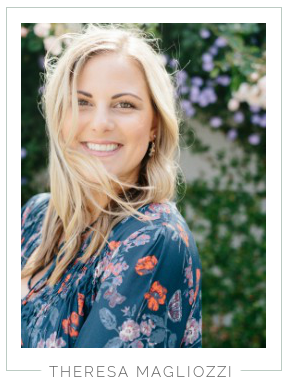 My username is madeinsonoma. Snapchat is so addicting! I love how informal it is. 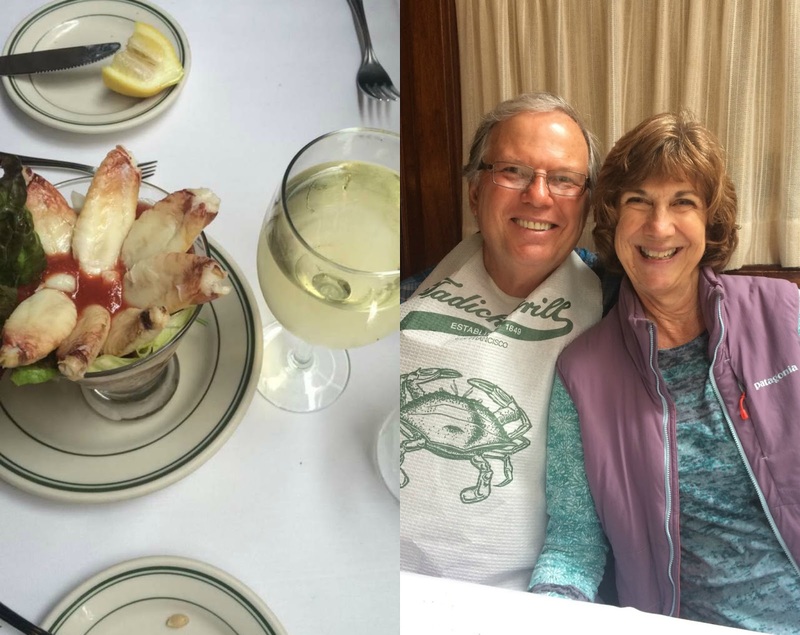 Looks like you had a fun weekend and made it to several different neighborhoods in SF!